Because of the expiry times system, many traders argue that binary options do not have special trading features that function to limit risk or lock in profits. Such an opinion is reasonable, since binary options trading generally has an expiry time setting that is determined when placing an option. This step is also referred to as the close position stage in binary options, because an option position will be closed automatically when expiry time arrives. These conditions can make it difficult for traders to change their close positions. When compared to forex spots equipped with stop loss and take profit facilities, trading in binary options will certainly look less profitable. In fact, binary options brokers offering trading services related to exit strategies are now starting to multiply. In addition to the rollover and early closure features described in the previous article, there is also a take profit facility, which is also called sell back to simplify closing the position of an option. Almost every trading facility offered by a binary options broker is related to the type of platform used. Examples of trading platforms that support take-profit or sell-back features are SpotOption and TradeSmarter. Thus, you can start looking for a list of brokers who use the platform of these providers if you want to get take profit services. Take profit was first known by traders who transacted in the spot forex platform as a useful feature to lock in profits at a certain level, so that the profit that has been achieved is not eroded by price movements that can turn around at any time. Meanwhile, the system of taking profit in binary options actually has the same use, it's just done in a different way. Traders can lock in profits by closing option positions before expiry time expires. Of course this is done when prices are in-the-money, because this service is intended for traders who feel doubt that the price will move to the expected position when the expiry time runs out. This situation is common when price volatility increases. If the forex spot trading take profit facility is still debated because it has the potential to limit the potential profit, the take profit feature in binary options is sometimes still underutilized for the same reason. The difference here is in the number of losses that can be obtained if the trader does not use the take profit feature. The binary options trader will definitely lose all the capital placed on that option, while forex spot traders can bear controlled losses (if using stop loss) or are floating. In addition, losses in binary options that occur because traders do not use take profit are generally more regrettable, especially if the price is in an in-the-money position before moving again at an unfavorable level when expiry time arrives. While forex spot traders still have the possibility to hold their positions without a certain time limit and wait for prices to move back in the direction that is expected. This situation can occur due to expiry time settings in binary options. Therefore, traders can use take profit to close the option even though expiry time has not been reached to save an option position that is in-the-money. 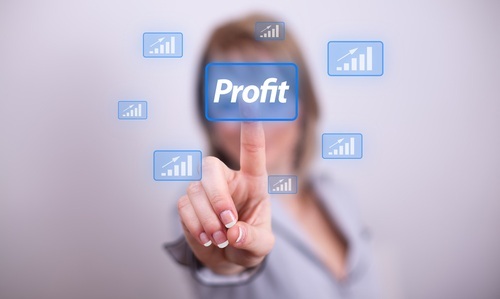 In binary options trading, the use of take profit will not provide the appropriate return profit. This is caused by the Sell Back system, or the resale of options that you have previously placed. When you place an option with a certain amount of capital, you are automatically considered to buy the option. So when you use this service, the broker thinks you are reselling that option. Here, the broker will provide rules regarding the purchase price for your option, either through the percentage level or by the price quote directly. "Daniel placed an option" call "on the EUR / USD pair with capital of $ 100 and expiry time for 1 hour. 30 minutes later, EUR / USD is already at a level higher than the previous strike price, so that the position is already in-the money and Jono only need to ensure that the price will still be in the area when expiry time arrives, however, the Jono trading system sends a signal indicating that soon the EUR / USD will immediately move down to a position lower than the strike price. doubt the pair will be in the right position when the expiry time is up, Jono finally closes the option by utilizing the take profit facility, before, the profit percentage of the option is 80%, which means Jono will get a total payout of $ 180 if the option is successful. But because it uses the take profit option, where the price of buying options offered is only about 65% of the total capital, Jono will only me get $ 165. " From the above example, it should be noted that Jono still gets profits even though it is only limited to the level of acquisition that is lower than the previous profit rate. Maybe Jono will regret when 30 minutes later the EUR / USD is still at a level higher than the strike price, but if the opposite happens, he will be much more sorry not to use take profit because he will lose all of his $ 100 capital . In the previous statement, it has been emphasized that the use of take profit is to secure profits that have been reached before expiry time is nearing the end. Then what if this feature is used to close options that are already out-of-the-money? Because the system carries the theme "Sell Back", take profit in binary options can also be used to limit losses from options that are certain to fail. In this situation, the purchase price offered by the broker will usually be set at a lower range than your capital. Examples of Si Jono trading above can be used as a case of using take profit for options that are out-of-the-money. Say Jono trades on a binary options broker that is willing to buy a failed option for 25% of capital, Jono will only get $ 25 if he sells an option that is in an out-of-the-money position. Again, ensuring that prices will still be at an unfavorable level when expiry time is the most important element of utilizing this one take profit function. It would be very unfortunate if Jono hurriedly closed an option that was experiencing a failure with this feature if in the next time the price then moved to a favorable level. Such conditions not only limit profits, but also reduce the amount of capital. However, if Jono's analysis turns out to be correct and the price is still in an unfavorable area, Jono can still save $ 25 of the total capital already placed. From the explanation of the benefits and advantages of the take profit feature in binary options, it does not mean that you are encouraged to continue using this service every time you have doubts, or periodically use this feature as a "safe step" to avoid the risk of loss. In fact, getting a maximum number of profits is certainly much better than limited profits. In addition, this facility sometimes only appears at certain times. 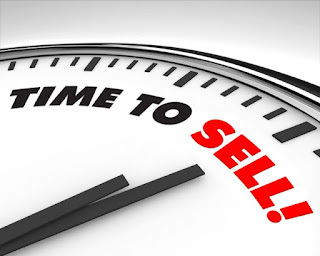 For example, there is a broker who has just activated this service a few minutes before expiry time arrives, or only offers it to traders who meet special requirements. Plus, it would be better if you don't take advantage of this feature too often, considering that using take profit can be intended by bro who highlight it as a means of limiting your profit. In this case, it's good if you take advantage of Take Profit when getting a signal that is contrary to your option position. This is due to the deduction of profits imposed as a fee for using this feature. For this reason, using take profit according to your needs only as a security of profit when uncertain price movements will be more profitable because it does not limit your profit potential for unnecessary reasons. The trading platform can determine the rules for using take profit services. As mentioned earlier, only binary options brokers of certain trading platforms have this service. Because there is not only one platform that is able to provide support for take profit facilities, the policy of using take profit can be different on each platform. Even though they already have the same type of platform, each broker can also have different conditions. The binary options broker sometimes feels the need to make some changes to adjust the service platform with the trading conditions that he can offer. For this reason, in addition to understanding the trading platform concept, you should also pay attention to the trading rules and conditions of your binary options broker. Different brokers can open access to take profit services for different instruments and types of trading. Some binary options brokers who have their own trading platforms sometimes have the concept of take profit which is very different from the use of this service in general. To find out the current state of your options, it is necessary to monitor the price chart from time to time. This is one of the disadvantages of the availability of take profit services. If you want to take advantage of this facility, you will always be required to pay attention to price movements in order to be able to lock in profits at the right time. This process is certainly more troublesome and tiring when compared to just relying on expiry time to close your options automatically. The purchase price offered by the broker may vary depending on the instrument, trading time and current price conditions. The payout potential offered needs to be considered in accordance with money management in your trading plan. This is important to ensure that your trading results are still on the right track to achieve long-term targets. Of the many aspects that need to be considered when choosing a binary options broker, the take profit feature can be one of the elements considered to complement your trading with profit security facilities. However, it would also be better if you only use it as needed so that the profit you get can remain maximum.